An assortment of apparently leaked documents from Jeep parent company Fiat Chrysler Automobiles anonymously sent to Jalopnik last week included a spreadsheet detailing the upcoming Jeep Wrangler and Wrangler Pickup Truck’s pulling and hauling capabilities. Let’s discuss. 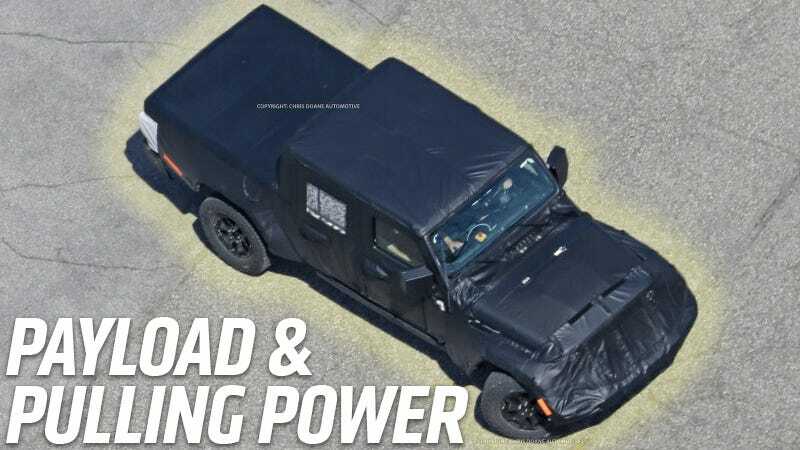 While the giant owner’s manual and user guide laid out towing specs for the two-door Wrangler and four-door Wrangler Unlimited, it did not have any information on the pickup truck’s capabilities. Since the Pickup (known as “JT” will theoretically be used more as a workhorse, towing and cargo capacity there are of particular interest. The paperwork we’ve seen looks legitimate enough to be worth our attention, and its max trailer rating for the regular Wrangler lines up with what we saw in the owner’s manual.. And since truck fans love obsessing over weight capacities and specifications, I thought a few of you might be interested in these images in particular, which appear to be slides from an internal FCA PowerPoint presentation. As many of you know, “JL” denotes the upcoming new-generation Wrangler’s chassis code (the current Wrangler is called “JK”) and “SAE J2807” refers to the industry-wide standard for measuring how much weight a truck can tow and carry. With that out of the way, we can look at the details. Besides confirming what’s ostensibly been established regarding the new Wrangler’s engine options, this doc tells us that U.S.-market Wranglers will be able to tow 3,500 pounds or carry between 1,075 and 1,310 pounds inside. Using that logic, it looks like a 2.0-liter Sport will weigh 3,797 pounds and a 3.0-liter (that’s the diesel) Rubicon will be 4,390. The new Wrangler Pickup Truck known as chassis code “JT” got its own spreadsheet that claims the vehicle will be able to tow 6,500 pounds or haul either 1,100 or 1,400 pounds depending on its trim level. Looks like the new 2.0-liter engine won’t be an option in the JT, but the diesel and revamped 3.6 V6 will be. Apparently all the trucks will weigh about 5,100 pounds unladen, ready to drive. 6,500 pounds is a significant load to put on a trailer hitch. A weight rating that high lets you pull plenty of types of boats or cars with some headroom left over. For context, this towing figure is right around where a Toyota Tacoma lands. All the numbers in these sheets seem consistent with most expectations about the new Wrangler’s capacities. That said, this information comes from anonymous source and Jeep has declined to comment. 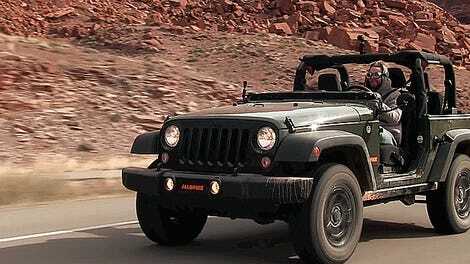 The Wrangler is expected to bow, for really, finally, at the LA Auto Show at the end of November. Until then, we’ll have our eyes open for any and all details that come to light on one of America’s favorite things on four wheels.